When the school year began, I spoke to my teachers and staff about goals and resolutions. It was a new school year with lots of new people in leadership positions, including myself, and we wanted a north star to help navigate us through our journey together. The LaRue County Public Library will have their grand opening celebration at 4 p.m. on Thursday, January 24. The LaRue County Chamber of Commerce will hold a ribbon cutting at that time. 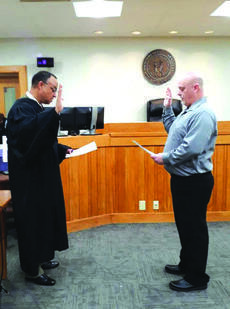 The public is invited to help celebrate the new location at 215 Lincoln Drive, Hodgenville. Warm Blessings raised $12,570 at it’s fourth bi-annual Empty Bowls fundraiser. 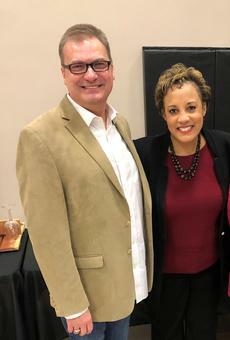 WAVE 3 News Anchor Dawne Gee, who was the guest speaker at the event, gave an emotional talk and in support of the work done by Warm Blessings donated $5,000 through her charity, A Recipe to End Hunger and Need, Inc. Her presentation emphasized not judging those living in poverty and demonstrated her compassion for those in need. Immaturity --- I’m sure James would say that “immaturity is the number one problem in the world today.” He would tell us that God’s will for each of us is that we grow up, and in the words of the writer of Hebrews urge us to “go on to maturity” (Hebrews 6:1). Campbellsville University’s Chapel Series for spring semester 2019 has been announced, according to Ed Pavy, director of campus ministries at the university. I have had a fever for the last twenty-four hours. Yuk. It’s been awhile since I have been sick and I had forgotten how miserable it is to be “under the weather.” It seems like lots of folks have been sick lately, with flu, strep, cold, and the crud being shared and spread around. Does anything good come from these seasons of sickness? Here are a few lessons I’ve learned!